IBS - What role can complementary therapists play? IBS – What role can Complementary Therapists play in its treatment? 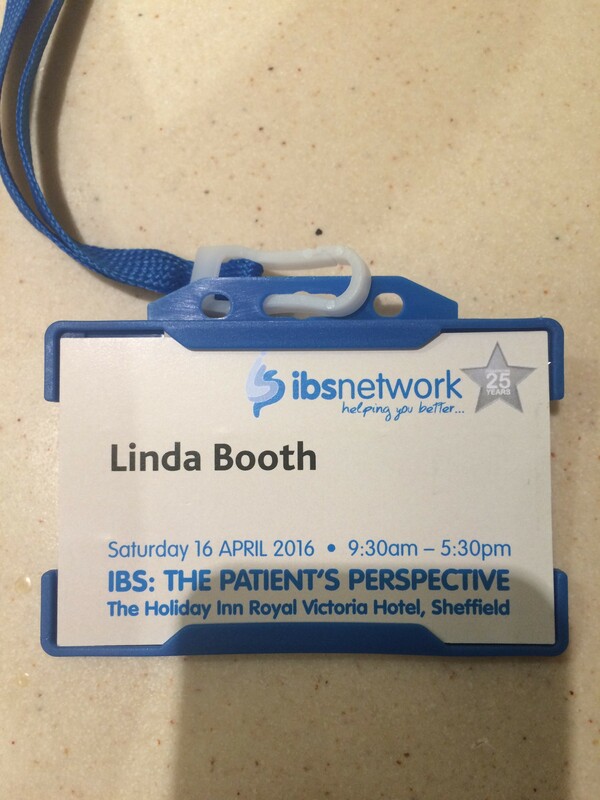 I sit on the advisory board of the UK’s IBS charity, The IBS Network. To mark their recent 25th anniversary, they held a conference at the Royal Victoria Hotel in Sheffield, and asked me to give a talk on how complementary therapies can help people with IBS. Since I am the only complementary therapist on the advisory board, I was more than happy to take the opportunity to speak about the use of alternative therapies in the treatment and management of IBS. By the time a person with IBS approaches a complementary therapy practitioner for help with their symptoms, they have more often than not had their condition for many years, in some cases decades, as such, the condition is what we term as ‘chronic’. You would think, therefore, that very little can be done by complementary therapists to improve the symptoms. After all, by the time they’ve accessed a complementary therapist, they have undergone all the NHS has to offer in terms of medication, appointments with consultants, scans, x-rays and other procedures like endoscopies. However, this is not the case. Complementary therapists can and do provide a wholistic and holistic approach to getting to the root of what is causing the symptoms, and put together a protocol to treat them. As a colon hydrotherapist, I often hear lines such as, “I have tried everything – and nothing has helped. You are my last hope”, and I believe them. Sadly (in my view), having colon hydrotherapy treatment is often the very last thing on a person’s list of complementary therapies to try, largely down to the many myths, misconceptions, misunderstandings, lack of education and awareness about the benefits of modern naturopathic colon hydrotherapy, and how it can treat many functional digestive and gut disorders. By simply gently introducing warm, filtered water, herbs, and occasionally probiotics into a spasmed colon, it can release the spasms and relieve the pain, including facilitating the release of trapped, painful gases and impacted faeces. It is extremely important that the colon hydrotherapist ensures the cecum is cleared out as this can be a site of excessive bacterial fermentation, and can cause irritations and bloating, as well as increasing the risk of small intestinal bacterial overgrowth (SIBO). When most people with IBS approach a complementary therapist, they are fed up, at the end of their tether, ashamed, embarrassed, frightened, depressed, with the symptoms having a debilitating effect on their health and wellbeing and overall quality of life. We know that IBS isn’t life threatening, but it can certainly be life-limiting in the effect it has on a person’s work, social and family life. Complementary therapists are usually approached through recommendation, or via a Google search, having read testimonials and reviews on therapists’ websites. Complementary therapists are able to offer time, and this is a luxury that the NHS simply does not have. Because we have time, we can give our clients our full and focussed attention, delving a little deeper to unearth things that may be happening in their lives that are contributing to their IBS symptoms, encouraging them to look outwards instead of inwards, giving them an understanding as to what may be causing their symptoms, and building their confidence. We keep in touch with them via phone calls, emails and social media to offer extra support. Complementary therapists are not run ragged trying to hit NHS targets, and we are not confined to the NICE guidelines, so we have more freedom to tailor treatment protocols. We as practitioners are able to choose from a vast array of tools at our disposal in order to best serve our clients’ interests, making our job a creative art – with a little alchemy thrown in. We take a comprehensive health history, undertake visual and manual examinations, and more importantly we listen, as very often the reason they have IBS can become apparent in conversation. I am very much a hands-on therapist and I like to get my client on my treatment couch and have a good feel of the abdomen, including stomach, liver and intestines. I can determine a good deal by palpation as the coils of the intestines, when healthy, should be soft and malleable, and in people with IBS, they most certainly are not. They are hard like concrete due to irritation, inflammation, excess gas build-up, bloating and spasm. Of course, the colonic treatment I carry out also gives me further insights into the state of a person’s gut – quality, consistency and shape of stool, undigested food, excessive fermentation and putrefaction. What do you feel has caused your IBS? After all, there must have been a time when you felt well and didn’t have IBS? When was this, and what happened around the time the IBS started – a gut infection like food poisoning? A death in the family? Financial stress? Divorce? Such events can precipitate IBS. What do you feel you need to change in order to improve your health? After a good long chat, and colonic treatment, I can then put together a customised treatment protocol, (and this may mean referral to other therapists – for example, a hypnotherapist, or even referral back to their GP), dietary and lifestyle guidance, and supplements to help reduce their symptoms and, in many cases, completely eradicate them. I explain to them that they are as much responsible for the successful outcome of the protocol as I am in providing it. It is very important that they understand their role in bringing about a good and positive outcome. There is a huge body of anecdotal evidence supporting complementary therapies and the successful treatment of IBS, but there is no ‘one size fits all’ solution. Whatever discipline the practitioner specialises in, it is vital that the person with IBS and the practitioner ‘click’ so that they can build a two-way relationship of trust, respect and mutual understanding. This is me and Gill, a colon hydrotherapy colleague of mine, having lunch at the event. We don’t see each other often, but when we catch up we don’t stop laughing. To access a registered and regulated complementary therapist, contact the Association of Registered Colon Hydrotherapists: www.colonic-association.org and use the ‘Find a therapist’ feature to help locate a qualified practitioner in your area. ← Why do so many people still lack access to a toilet? !